Cats love to play, provided there is something interesting and moving. 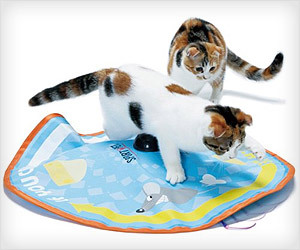 Kitty City Pouncing Paws is a motorized Cat Toy game that should keep lovely pet cat busy and playful for long time. It has fast moving motorized wand that spins and changes directly unexpectedly that entices cat for the play.